The author of Oscar talks to Shelagh Rogers about his latest book. Mauricio Segura is a Chilean-born, Montreal-based journalist, filmmaker and author. His novel Oscar, translated from French by Donald Winkler, revolves around the life of legendary Canadian jazz pianist Oscar Peterson. 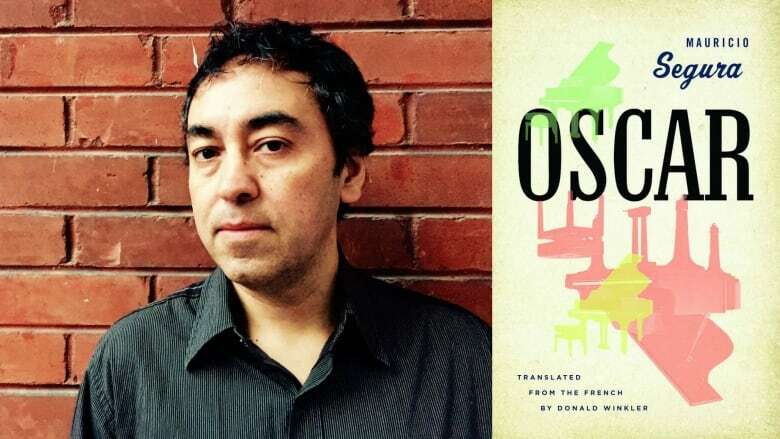 The book takes a fictional look back at a Depression-era Montreal neighbourhood and explores how race, class and money shaped the world of the jazz giant. "Oscar's older brother was the real pianist of the family. But he died from tuberculosis. Oscar was deeply interested in music when he was a child. Before learning piano, he used to play trumpet and he hated it. Oscar also contracted tuberculosis, but survived and was told he couldn't play trumpet anymore due to the strain it placed on his lungs. That fact, to me, is an amazing aspect of Oscar's story." "I was very interested in the relationship Oscar had with his manager, who was a real person named Norman Granz. He was a man considered one of the greatest producers and managers in jazz history. But this guy was obsessed with money and success. He worked with Oscar to record commercial records and that's the reason Oscar has about 80 records, which is too much. There's a whole bunch of records that are not very listenable today as a result. "I wanted to portray the relationship between Oscar and his manager. This was really important to me. I wanted to explore this weird relationship. Artists with money and success tend to be idealistic people and tend to look at money as something a bit dirty. This enabled me to explore all these taboo themes." "This book is certainly not a biography. This is fiction. I read everything I could find on Oscar Peterson and I watched every documentary I could put my hands on. I also listened to his music for two or three years. The more I wrote this book, the more I created distance from facts and factual information. This fiction tries to fill in the blanks and the unanswered questions I had." Mauricio Segura's comments have been edited for length and clarity.